Hey, it’s me, Tom, founder of The Film Fund. In addition to being a film producer and a financier with The Film Fund, I’m also a filmmaker myself. In this post, I write about how I got things on the cheap or for free for my award-winning short film, “Son of Blackbeard.” It’s currently on the festival circuit, but I’ll be able to share it soon. Getting financing for independent films is tough, especially if you don’t have a proven Hollywood track record. That’s why I started The Film Fund. 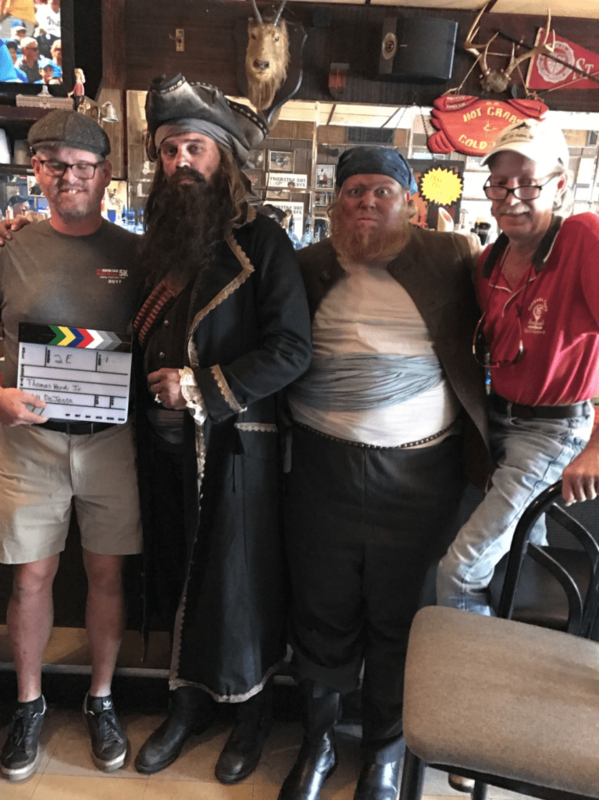 On my award-winning short film, Son of Blackbeard, we maintained a high production value by bootstrapping the hell out of the story, script, and gear. As a director, I would have liked to spend way more time and money than I did. There were specific songs I had in mind, scenes I rushed, and edits I should have spent more hours cutting down. The film could probably shed a few minutes in runtime as well. But we were able to stay way under budget and had a quick turnaround time, and I’m happy with the finished film. Below I provide specific examples of how my crew and I pulled off low budget filmmaking. Whether you immerse yourself in narrative or documentary filmmaking, you can apply these low budget filmmaking tips to your own indie films to learn how to make a good low budget movie. As a producer, I kept the budget tight. I secured all three locations for free, including post-production facilities through my school. My aunt and uncle were willing to provide their entire house for two full shoot days. We dug a deep hole in their back yard, pushed a kid into their pool fifteen times, and invaded their basement. We also smoke fake marijuana joints in their bedrooms (herbal tobacco). Be nice to your relatives. For the scene in the pirate’s lair, we used a bar. I didn’t write it with a bar in mind (I actually wanted something like the Sons of Anarchy table), but this was free and it worked. Colin Pawlowski, our co-producer, simply walked into The Trophy Tavern with his gregarious personality and offered the owners a free advertising opportunity they couldn’t pass up on. They gave us full access to their bar for a day including the basement, which we used for equipment staging, wardrobe, and hair and makeup. We also shot the beach scenes for free in New Jersey. Just make sure to get any required permits months ahead of time. Pre-production is important. And always play the student card if you can. If you’re shooting guerilla-style somewhere, just say it’s a student project. It helps to have students on set for this purpose. We met potential crew face-to-face and demonstrated passion. How did I learn things about what gear to use to accomplish my shots? I secured premium crew and rental packages at great rates. They were fair rates for sure, but they were definitely less than the crews’ usual going rates. I went out of my way to meet the potential crew members in person at coffee shops around Philadelphia and Allentown, and I demonstrated my passion for the project to them. I explained to them why I needed to make this film. Because they cared about the project and their craft, they offered amazing insight. Crew members weigh in on a shot. Photo copyright Correll French 2017. Instead of using a RED or ARRI with expensive cine-lenses, we shot with less expensive photography lenses on a Sony A7Sii, a great 4K camera for filmmaking on a budget. For its price, it might be the best budget camera for filmmaking in 2019–or at least one of the best. You don’t need to shoot in 4K, but our DP gave us a great rate on the rental, and the ability to crop helped me in post. Because I respected him and fostered the relationship, he guided me on what gear to use to get the most budgetary efficiency. free indie film budget sample. Get a free film budget template and funding updates. Stay up to date on new funding opportunities and blog posts, and get a free budget template. 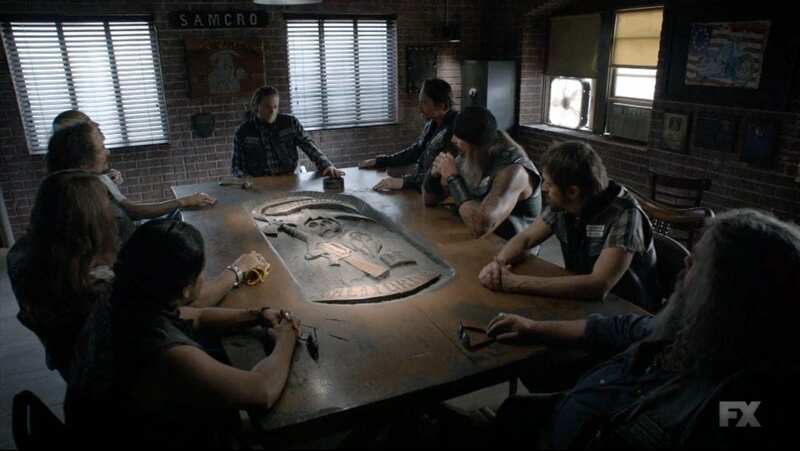 Because of these meetings, the entire crew believed in the script and loved the concept. Our makeup artist and costume designer, our DP, our sound designer and composer, our co-producer: they all truly cared about the project, staying in touch with me after we wrapped shooting and making suggestions for the edit. Some cast members even drove multiple times from states away to make screenings. Thanks, Charley! I successfully built the “SOB” community, and I still maintain it with email updates and social media communication. Disclaimer: I’m not an attorney, and this isn’t legal advice. But I wrote off all work-related gas mileage through my production company, as well as any and all expenses related to the production. Meals, gear rentals, services, everything. It’s an LLC–what’s legally classified as a pass-through entity–meaning the expenses pass through to my personal tax return. My master’s program provided me with some basic accounting and legal skills, so I would definitely recommend learning as much about this financial stuff as you can. Don’t leave any money out there. If you can write something off on your taxes, write it off. We fostered a fun, creative, and experimental environment on set. Allow your cast and crew to experiment. Be friendly, fun, and open-minded from the very first meetings. Allow improv–even if you think it might not be used in the final cut. Flexibility will help the bottom line. People like working with “cool” people– not difficult egomaniacs. You can still consider yourself an auteur while being a nice person. It’s an indie film set, so relax, buddy. A short film set at that. This doesn’t mean it’s not important, but your set should represent a place to experiment and hone your craft. Behind the scenes of “Son of Blackbeard.” Photo copyright Correll French 2017. Promising experience with no pay is never a good way to secure crew, especially if they already have relevant experience–which mostly everyone on this project did. 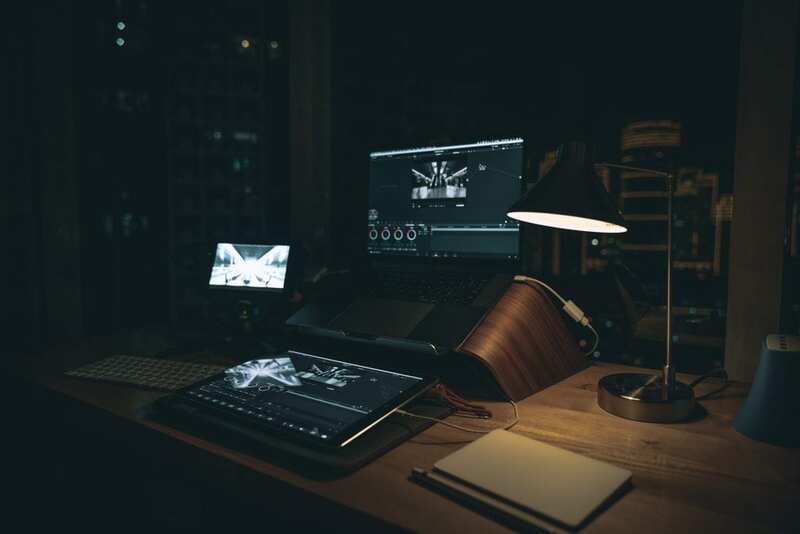 But if you provide them with the opportunity to work on a rewarding, creative project where they can flex their skills and have fun at the same time, crew will be willing to negotiate on rate. Hiring a professional editor would have expedited the process and made the final cut a bit more polished. But I know the basics of editing, and while I’m not an editor, I’m confident enough to cut together my story. Directors such as the Coen brothers cut their own pictures. The only way to get better at editing is by doing it. Our DP included coloring in his rate, because he believed in the project and wanted to make sure he’d be attaching his name to something that’s colored well. See the note about getting good crew above. Many late nights in grad school saved me from hiring an editor, allowing me to submit to more festivals. I also used their Mac lab to edit on, as I didn’t have a great editing computer at the time. Be nice to your school or office’s IT people, and they might give you permission to install 3rd-party plugins. We used our friends as PAs and manual laborers. I used my friends wherever I could. 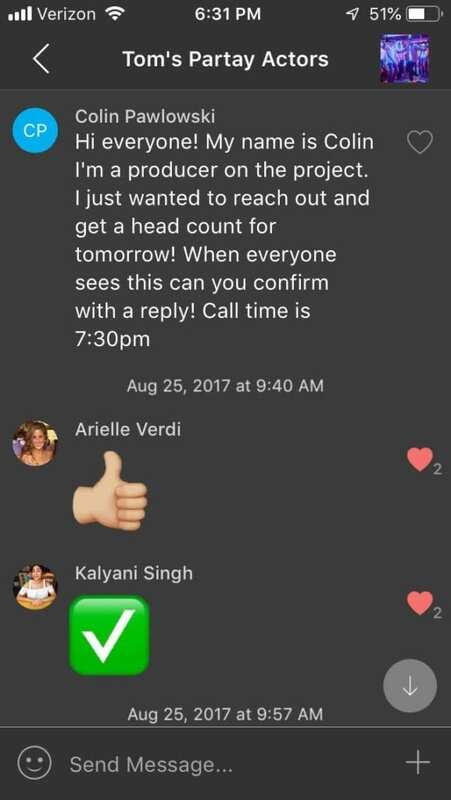 I think we posted in about twenty GroupMe chats soliciting help from people we knew. We had a low conversion rate, but it worked. Some aspiring indie filmmakers have told me that they can’t make a movie because they don’t have friends. Sorry, but that’s not a good excuse. Filmmaking is a collaborative medium that requires impeccable communication skills, so go make some friends 🙂 . Join film meetups, go to lectures, coffee shops, hang out with your cousin, whatever. 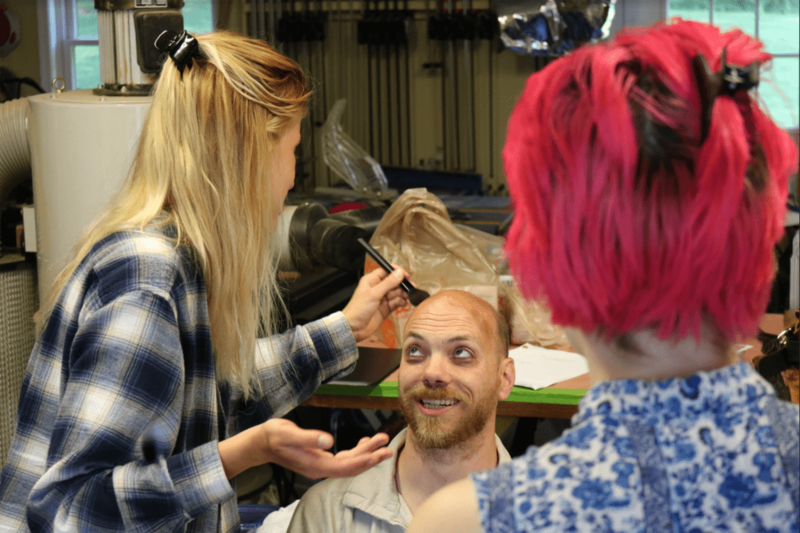 We got four production assistants and about fifteen extras at no cost. They had almost no film experience, but they were motivated to help out and be part of the project. Often-times PAs and low-level contractors will be more motivated and driven than the people you’re paying higher rates. If these PAs have an interest in filmmaking, they’ll want to prove themselves to you. Our Directory of Photography didn’t have an AC or a gaffer, but the PAs we gave him were more than happy to help out with adjusting bounce boards, flags, or helping him build the camera. They were also happy to help out with the slate when our dedicated Assistant Director/Co-producer was wearing another hat, such as calming down the bartender I accidentally yelled “quiet on set” to, forgetting for a moment they were letting us use their open business for free. I also had a wrestler friend of mine dig a five-foot grave. We gave him his upper-body workout for the day. We saved thousands of dollars by using our professional connections. It was an important passion project in my career, so I finally cashed in some favors from relationships with professional service providers that I’d been cultivating over the years. I know an investor who owns a boat, so I asked if we could use this guy’s boat for the beach scene. He just asked that he get a part in the movie. If you watch the film, he’s the guy driving the boat. My friend’s uncle is a NYC startup attorney, for whose nephew I edited a college highlight baseball recruitment video. So he helped me write some independent contractor agreements for my crew. A realtor I know allowed us to use his office space for auditions. All of these favors I cashed in provided legitimacy to my fledgling production company, and saved the bottom line thousands of dollars. Save everywhere you can, pre-production through post, and you’ll be able to increase your film’s reach when it comes to distribution. Be sure to keep the finances in mind when submitting your one-sentence pitch to The Film Fund.